ACE Industrial Shock Absorbers Improve Oil Refinery Safety Valves – ACE Controls Inc.
Overpressure in refinery pipes can be catastrophic—which is why safety valves need to be able to open in a fraction of a second. But when it comes to controlling these valves, pneumatic drives tend to be too slow. Electric drives and brakes are also out of the question, as even the smallest spark can trigger an explosion. 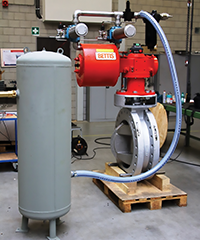 Doedijns Group International (DGI), a company that develops hydraulic power and motion control solutions, recently designed an actuator that can open its 24-inch safety valve within half a second. To absorb the shock of the piston when this happens, DGI integrated industrial shock absorbers from ACE Controls. Special Safety Valves Open 50 Times Faster. The oil refinery, located in Yanbu, condenses and liquefies natural gas for transport using explosion-proof compressors, which regulate the pressure in the pipes. If the pressure dips too low, the compressors switch on. If the pressure gets too high, they switch off. 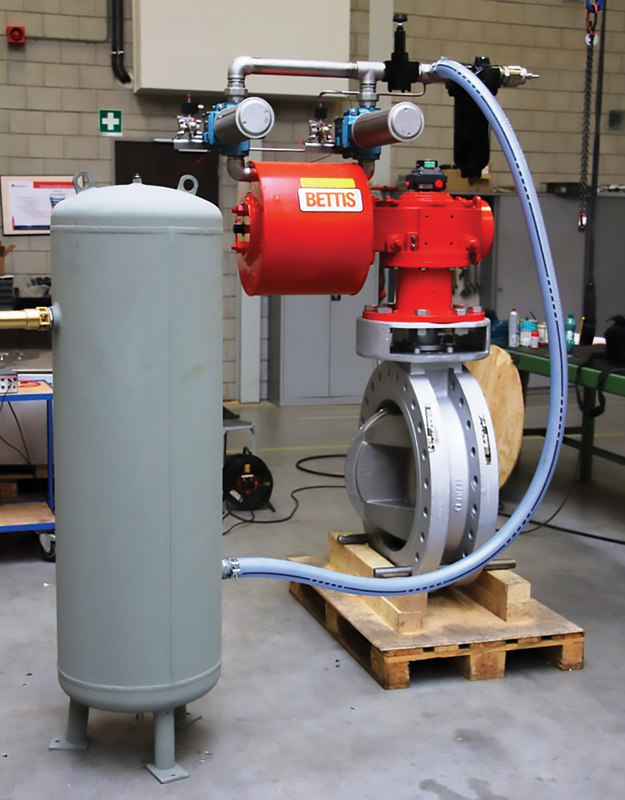 To ensure these compressors maintain the right working pressure while simultaneously avoiding overpressure, DGI developed special pneumatic actuators. Should overpressure occur, the system’s built-in pneumatic cylinder opens the large, 24-inch safety valve. Normally, throttle valves open at a speed of one second per inch—but DGI designed its valves to open 50 times faster. At the same time, DGI needed a way to safely absorb the energy generated by the valves as they opened. The company teamed up with ACE Controls to incorporate hydraulic shock absorbers that could emergency-stop the piston rods on the cylinders. MAGNUM Shock Absorbers: The Last Line Of Defense. Due to the small size of the actuators, ACE engineers selected their compact, yet powerful MAGNUM industrial shock absorbers (type MA3325). When the valves open, the rod makes contact with the shock absorbers, which engineers positioned in the front and rear of the cylinder. The dampers then fully stop and control the piston rod as it moves horizontally. Without the absorbers in place as the system’s final safety measure, a number of devastating things could happen. The cylinder, actuator and compressor could experience irrevocable damage. Toxic gas could also leak out and potentially trigger an explosion—endangering personnel, the environment and other nearby facilities. For these reasons, ACE shock absorbers are part of the Yanbu success story—and have improved the overall safety of the plant. To learn more about this application, download our latest case study.